Tecsupply is a trusted Hydraulic Manifold Blocks Exporter & Supplier from Pune (Maharashtra). We specialize in offering Hydraulic Manifold Blocks that are ideal for diverse industrial applications. 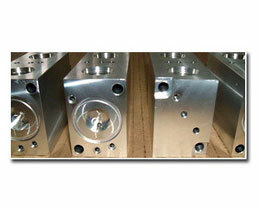 These Hydraulic Manifold Blocks are manufactured using high grade metals and finished using high-tech machines. The Hydraulic Manifold Blocks, we offer, are popular for their precision, design, longevity. We can provide these Hydraulic Manifold Blocks as per different specifications and that too a competitive market prices.